This month’s Bostik Blogger theme is Back to School (already?!) and ours is a particularly exciting September this year because our son is starting school for the first time. Biggest has autism and this means he struggles with transitions and big changes. 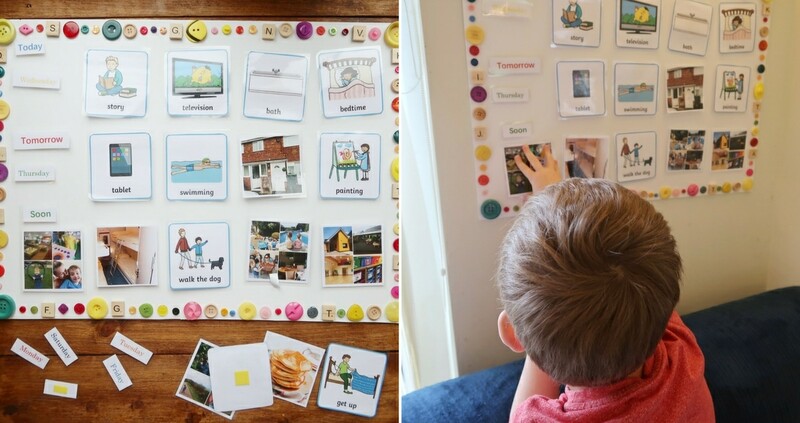 Children with autism and other special educational needs often benefit from resources like visual timetables, as it helps them to breakdown information and process it more easily. Therefore, I decided to make a visual timetable for Biggest to help him manage the big changes in his routine. 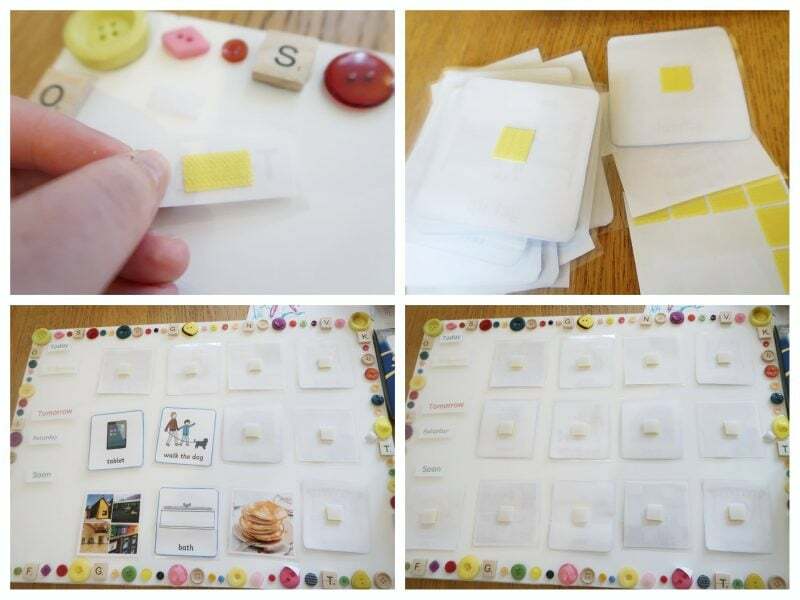 However, visual timetables can be helpful for all children. 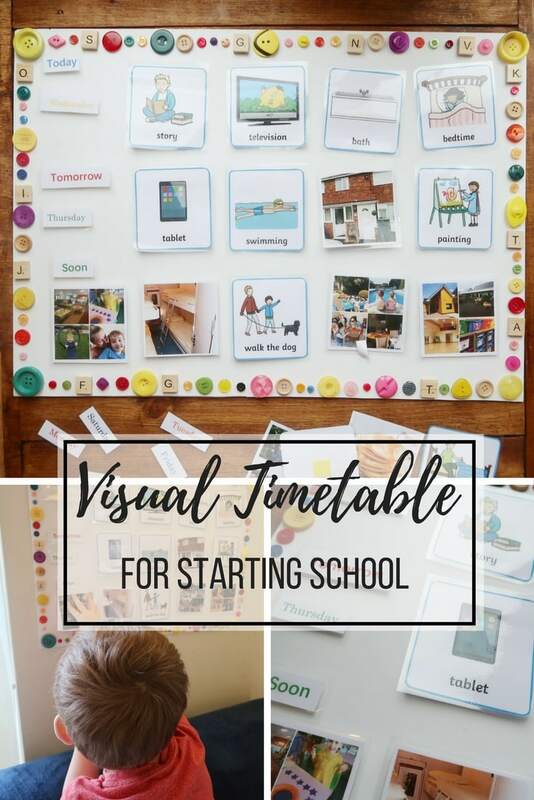 If you have a little one starting school in September, a visual timetable may help them feel less overwhelmed by the changes happening at this time. Firstly, we decorated the border around our foam board. This is not an essential step. 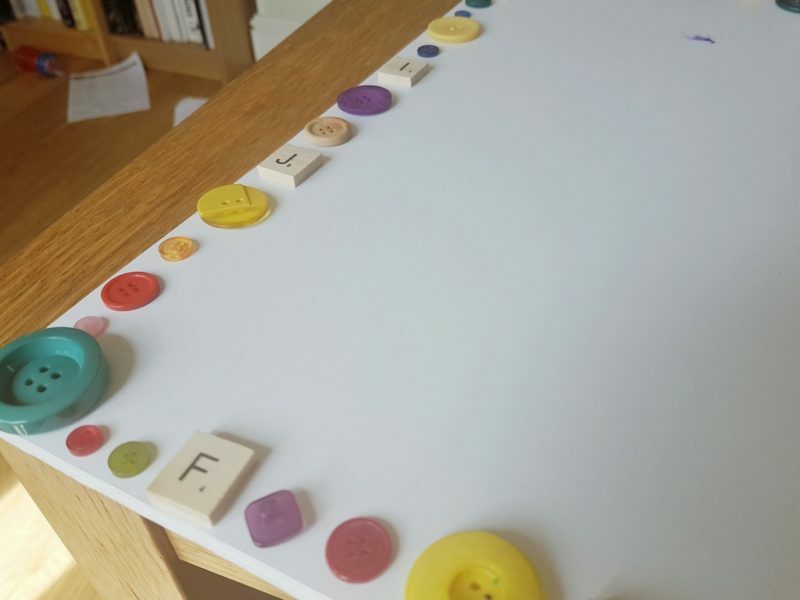 However, Biggest helped me pick the buttons and decide where we would put them and he enjoyed the task. It also gave him a sense of ownership and involvement with the timetable. Next, we made sure we had printed pictures of all the tasks and places we wanted. 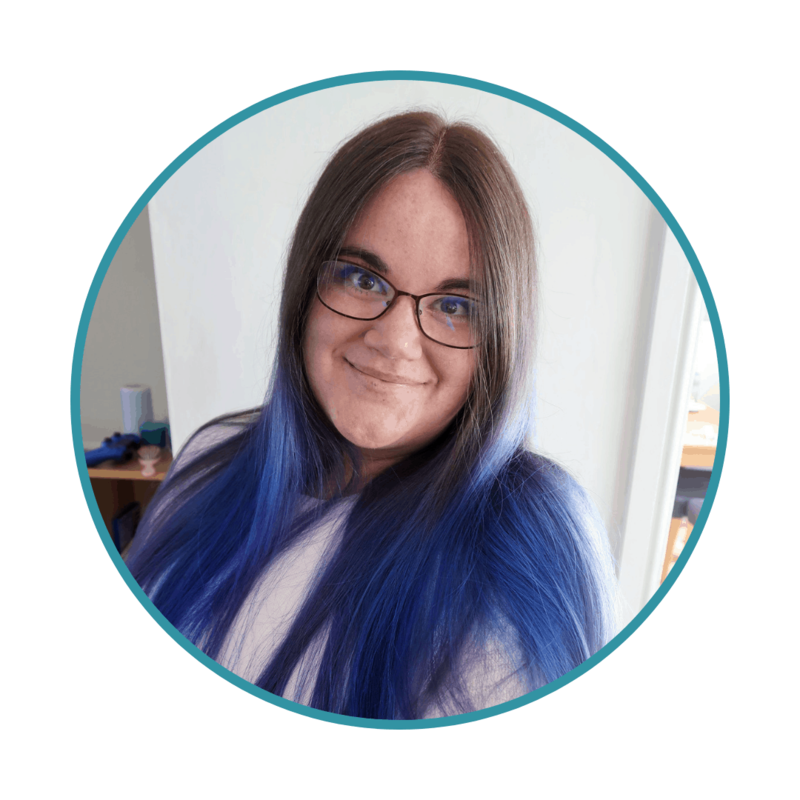 We used a mixture of pre-made illustrations, designed for visual timetables (You can find loads at Twinkl) and pictures we had taken ourselves of the main places that Biggest visits. My parents live in France and one of the big transitions of the year for Biggest is our annual visit. Once we had all of our pictures ready, we chose to laminate them. This is optional but if you are going to be using the timetable for a chunk of time, it is a good idea. 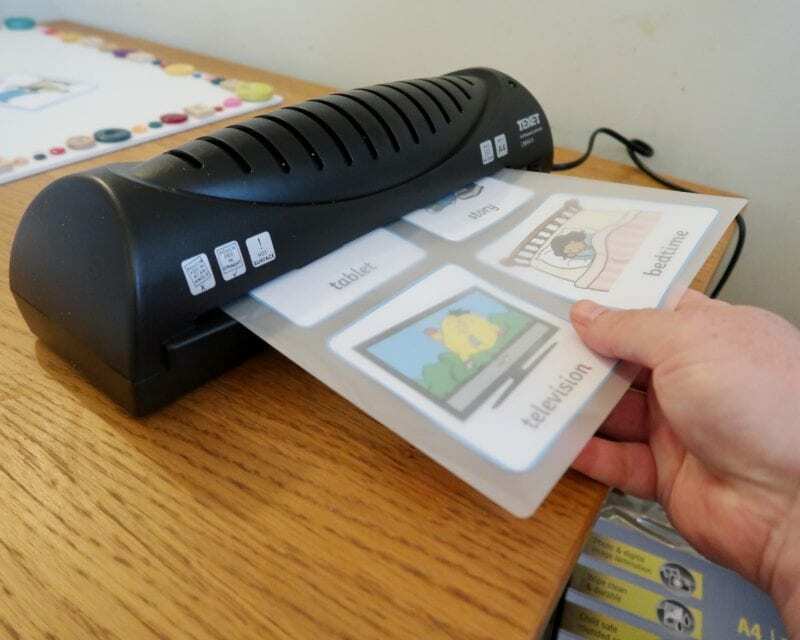 Our laminator was just £13.85. I love laminating things (the teacher in me will never die!) and so I was happy to pay that as I know I will use it a lot. In addition, I made some smaller cards with words like ‘Today’ and ‘Tomorrow’ and the days of the week on. I felt that Biggest would not be able to process any more information beyond that for now. Once I had made and laminated all the items we needed, I used adhesive hook and loop patches/tape to attach them to the board. The yellow hook part goes on the cards and the white loop part is then stuck to the board. The great thing about using hook and loop tape (which you may know as velcro!) 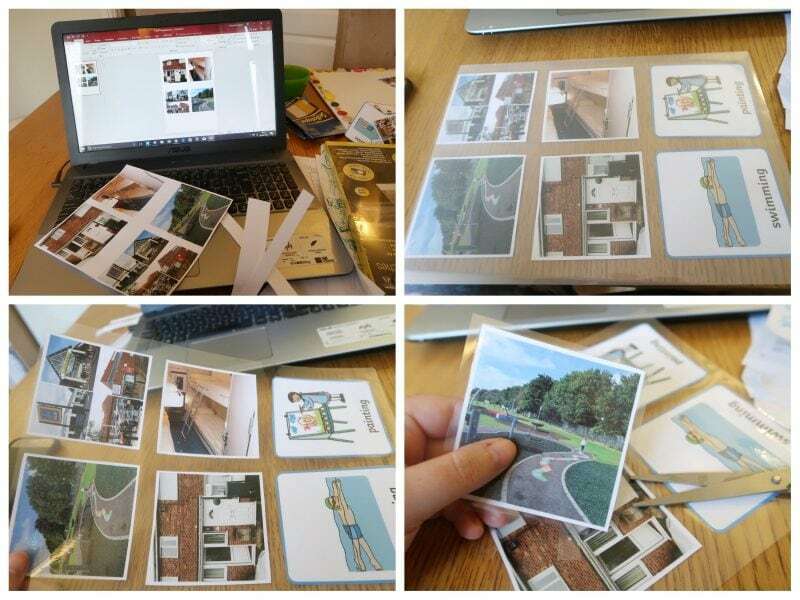 is that, as well as making the cards interchangeable, it also means you are free to completely change your timetable. You can include one day, or two or three. 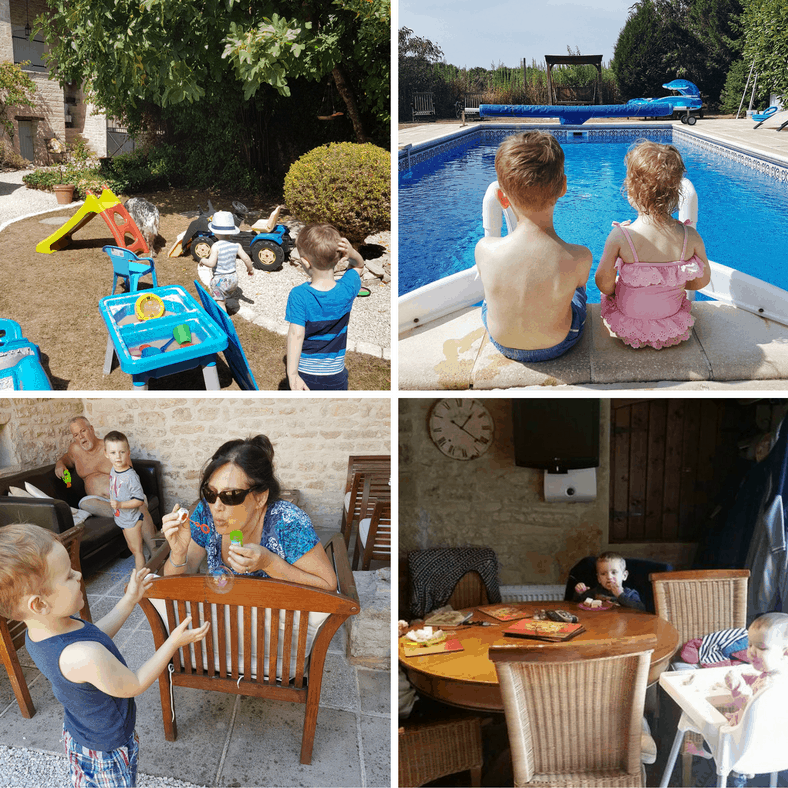 You could work in weeks instead of days and you could even arrange it so that there are just one or two tasks at a time, in order to allow the child too focus without being overwhelmed with information. 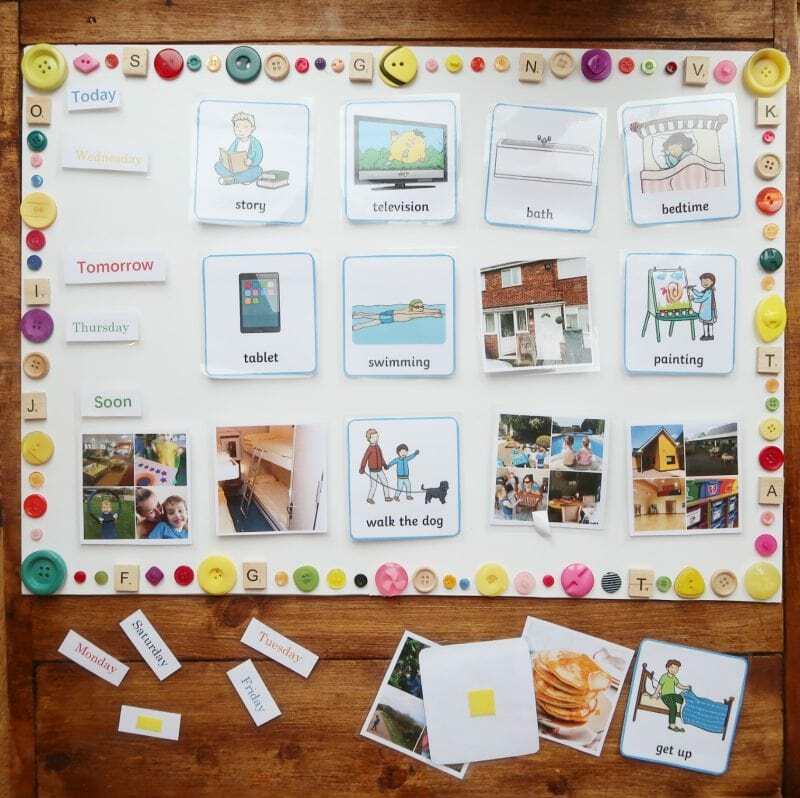 This means the timetable can be adapted to different circumstances and can grow with your child. Hopefully, our visual timetable will help Biggest through one of the most significant changes he has been through so far – starting school! Bostik kindly send us craft items each month in order to take part in the Bostik Blogger challenge. This post contains affiliate links. This looks great! My eldest starts this year and he is currently going through a massive regression and is scared of everything! Thanks for sharing.